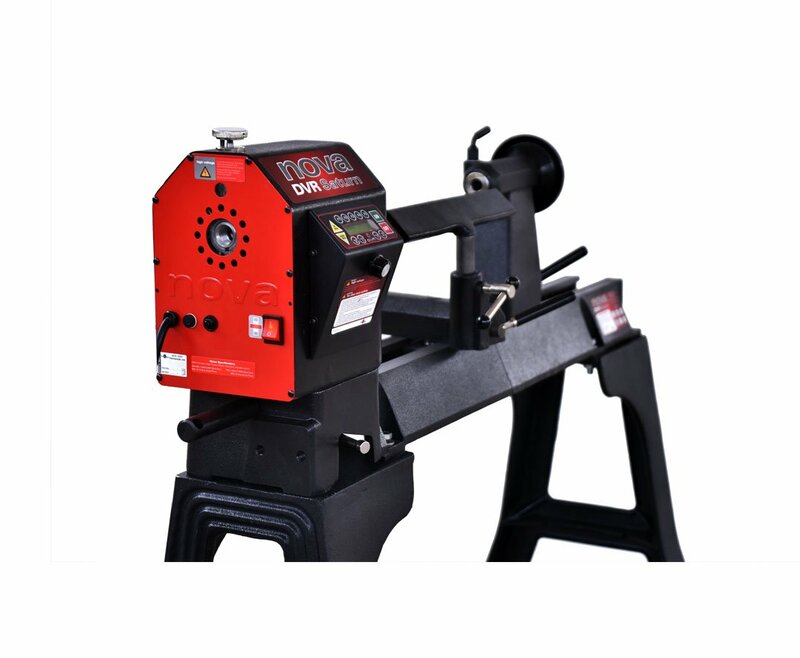 Combines the best features of larger lathes – power, capacity and capability with state of the art technology to make you’re turning more efficient, fun and safer. Saturn DVR is the most versatile lathe on the market, combining proven technology from its predecessor NOVA DVR XP with some great new features. Able to handle a wide range of work from very small pens to large 29”/740mm bowls and long spindles works (using Outrigger and Bed Extension accessories). Using the unique Striatech DVR technology, the direct drive motor is incredibly smooth with no pulleys or belts to vibrate. 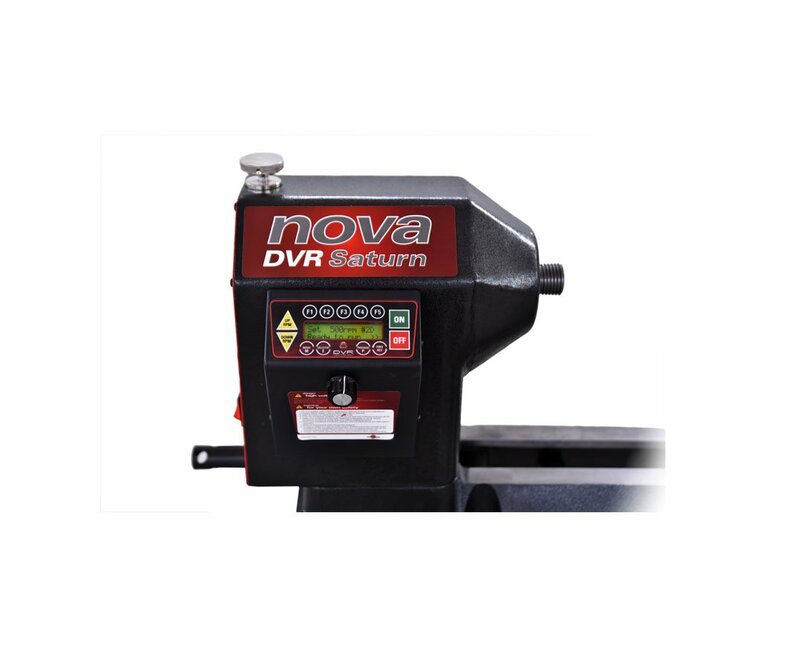 Easy to operate, the NOVA Saturn is a DVR SMART lathe. Uses Adaptive Control™ Software. The intelligent computerized control assists you with your turning. 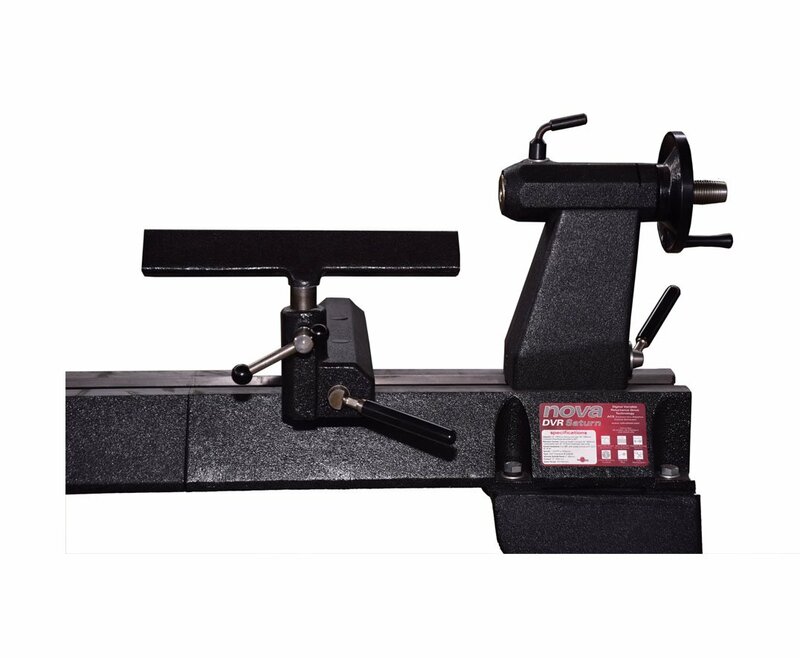 It measures the weight of the workpiece and continually adjusts performance accordingly. It senses faults in the setup and advises of safety issues- such as chisel dig in and spindle lock. It then instantly shuts down power to the spindle. Instant power when you need it. With its 1.75HP(115V) /2HP(220V), high torque motor not only is it easy to convert to outrigger work for larger bowls, but the lathe also has the power and capacity to handle it with ease. 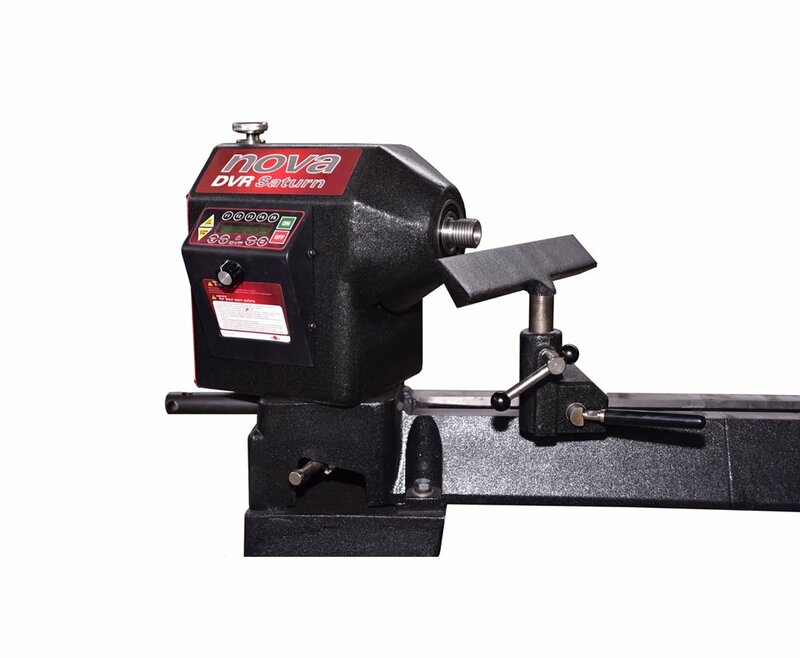 NOVA Saturn DVR Lathe delivers incredible turning smoothness with no belts or pulleys to cause the vibration. The DVR motor is controlled by a computer which automatically adjusts the motor for optimal performance. With its solid cast iron construction, the Saturn is a very smooth and stable operator. The lathe’s smooth operation allows it to run faster and efficiently, cutting down sanding time. The 10 favorite speed function enables you to set up to 5 most used speeds. 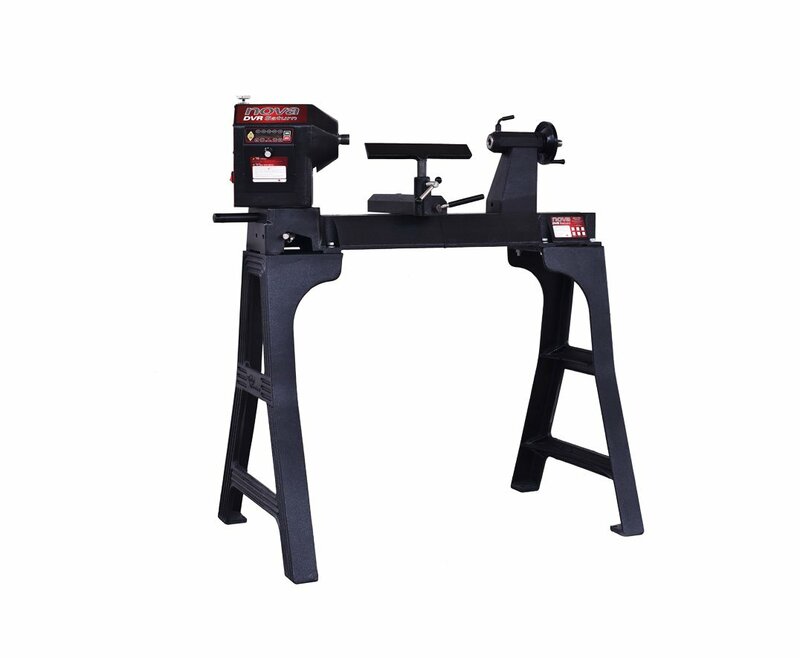 Incredible power in a compact working space, great for those who need all the workshop space they can get! The swivel head and articulated Outrigger Accessory means that turning even large bowls (29”) you are still turning in the same compact working envelope. Solid cast iron throughout, trapezoidal, vibration dampening bed design, heavy duty Trimax triple bearing system. 16″/400mm inboard, 29″/740mm outboard (using optional Outrigger Accessory) 24″/600mm Between Centers, fully extendable beds – (optional accessory)) 20″/500mm per segment to go as long as you like. Cost-effective and easy to add capacity. Easy to use, push-button electronic variable speed with forward and reverse. Computer control instantly cuts power to the spindle if it senses a chisel dig in, or if the spindle lock is on when wanting to turn the spindle. Smart computer-controlled motor only draws as much power as it needs for the project being worked on. The Striatech DVR motor can save up to 80% energy and emissions over conventional motors.